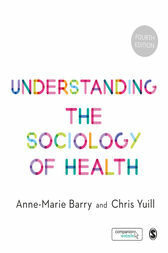 Understanding the Sociology of Health continues to offer an easy to read introduction to sociological theories essential to understanding the current health climate. Up-to-date with key policy and research, and including case studies and exercises to critically engage the reader, this book shows how sociology can answer complex questions about health and illness, such as why health inequalities exist. · a glossary, chapter summaries and reflective questions to help you engage with the subject.